“Don’t confuse me with facts, my mind is made up,” so said the preacher as he was putting together his weekly Sunday sermon. This was said to a member who was showing the preacher that his Salvation was denied because he was not practicing Righteousness, as the bible requires. After the Apostles were murdered by those who hated Yahweh’s Righteousness, there was no named House of Yahweh to be seen for almost 2,000 years. But in the Last Days? Please note that none of the religions of the world are teaching Yahweh’s Laws in this generation. 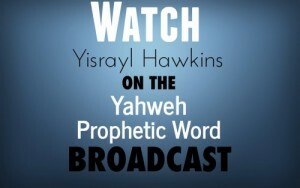 Only The House of Yahweh teaches Yahweh’s Laws, which It was prophesied to do in this generation.